Drummer Marko Djordjevic has played on roughly 50 albums and has thousands of live performances worldwide to his credit. 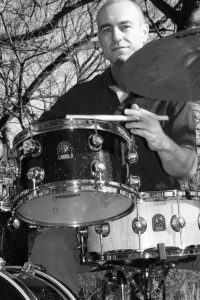 Some of the artists that Djordjevic has performed and/or recorded with include Matt Garrison, Wayne Krantz, Jonah Smith, Clarence Spady, Lucky Peterson, Jacques Schwartz-Bart, Garry Willis, Hal Crook, Eli Degibri, Lionel Loueke, Aaron Goldberg, Damian Erskine, The Itals, The Kung Fu Masters, Chris McDermott, Ole Mathiesen, Sten Hostfalt, The Mason Brothers, Tim Miller, and Eric Lewis. He is a graduate of the Berklee College of Music, where he was accepted on a scholarship at the age of 16. In addition to a busy performing and touring schedule, Djordjevic teaches at the Berklee College of Music and Drummer’s Collective.